Alliance MIT is so proud of its partnership with Harper for Kids. Harper for Kids is a non-profit organization, founded in 2008. Its mission is to teach children important life skills that will empower them to achieve their personal best in life. Its founders, Tim and Peanut Harper, have played an integral role in the launch of the Alliance MIT character development program. As stated in our mission statement, at Alliance MIT we believe in the importance of developing the student as a whole person, including their character development. To guide this important learning, in 6th grade students read and learn from a book by legendary UCLA coach John Wooden, Inch and Miles: The Journey to Success. Through this book, students learn about the Pyramid of Success, and each month the students experience a lesson on 1-2 traits from the Pyramid of Success. Some of these important traits include enthusiasm, fitness, team spirit, and self-control. Our students learn about each of these traits and how to apply them to their academic and personal lives. They can earn Success Tickets from staff members for exemplifying the trait(s) of that month. 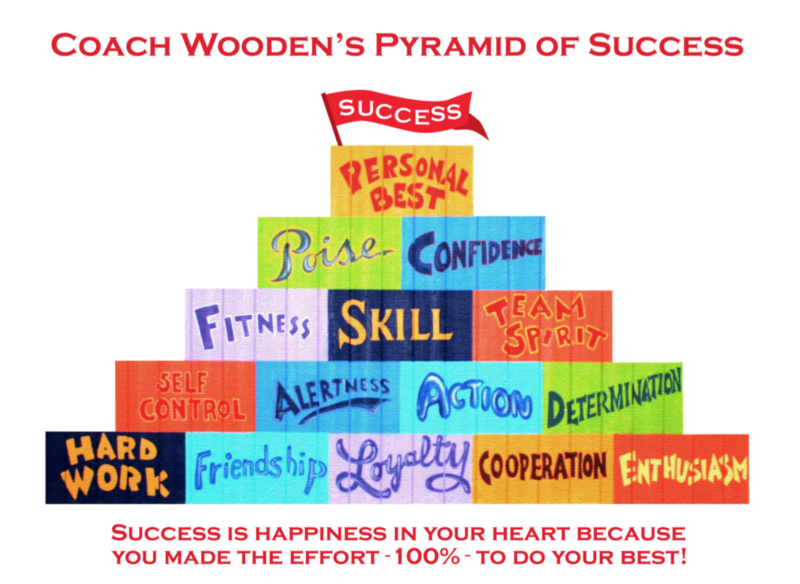 We are so grateful to Harper for Kids for bringing the Pyramid of Success to our school. It is our hope that this awesome character development program helps us achieve our mission of developing resilient, healthy and successful students!